Directed by William Wyler. With Gregory Peck, Audrey Hepburn, Eddie Albert, Hartley Power. 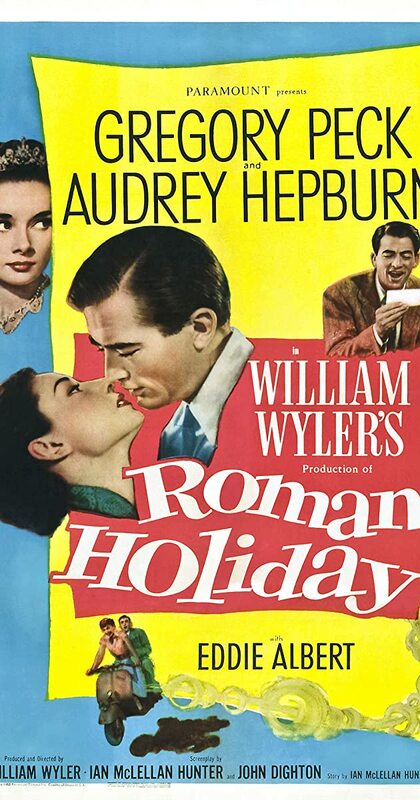 A bored and sheltered princess escapes her guardians and falls in love with an American newsman in Rome.